Use this wireless relay to connect your midland radio to the HomeAware. Take full advantage of the HomeAware with this wireless relay. The HomeAware wireless relay works perfectly with the HomeAware main unit. The device connects your Midland radio to your HomeAware. 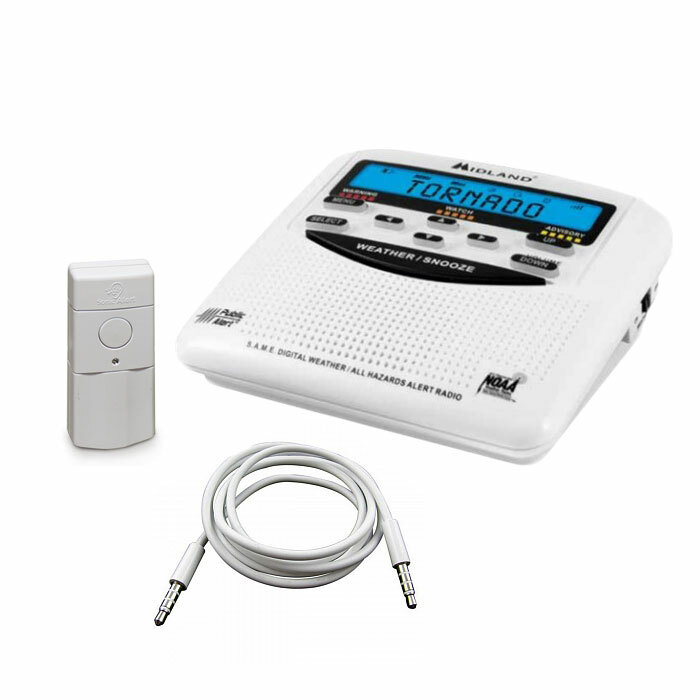 What this allows now is your HomeAware to alert you to severe weather conditions through your Midland weather radio. Connecting to the Midland weather radio is one of the unique and cool things the HomeAware is able to do. It is one of the reasons HomeAware is such an exceptional and unparalleled product. See how this product will take your HomeAware unit to the next level!